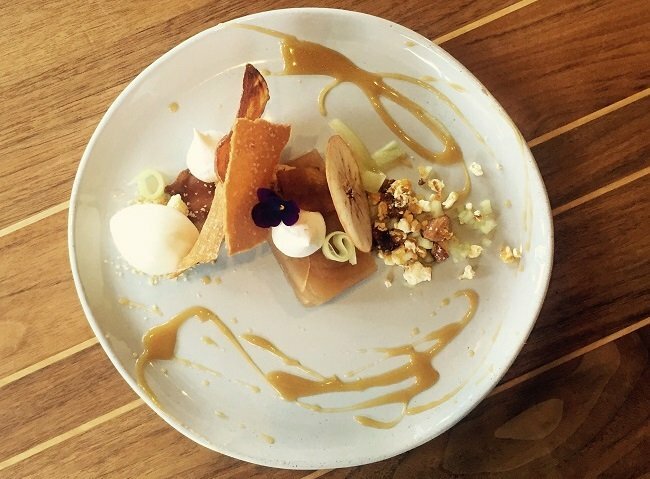 Stef Scrivens is a Pastry Chef by passion and she's serious about dessert! As a 2012 Diplôme de Pâtisserie graduate from Le Cordon Bleu Ottawa, she has a wealth of experience when it comes to transforming everyday ingredients into exquisite desserts. 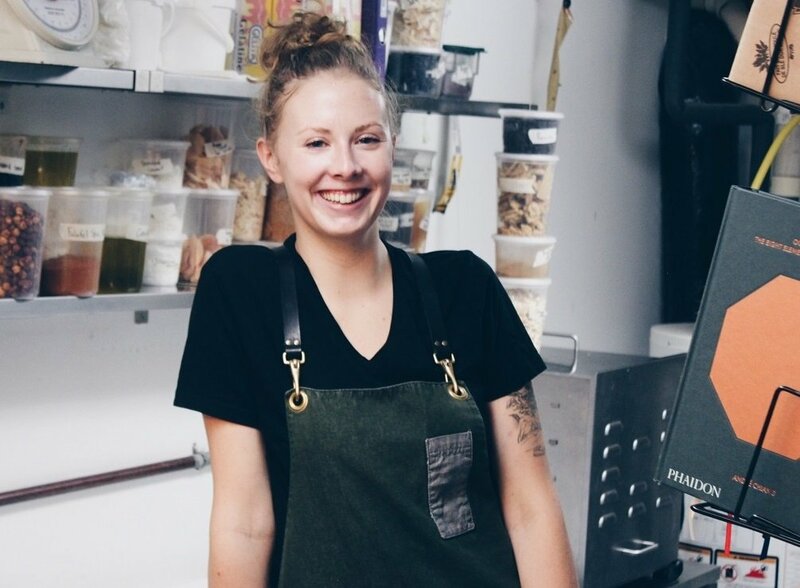 Stef is currently honing her skills at Ottawa’s own, Fauna and Bar Laurel, where she creates elegant desserts like semifreddo, aerated chocolate mango glass cake, and apple terrine with smoked almond popcorn. Whether she's creating her favorite tequila lime pie, or staging at Michelin Star restaurants, her journey as a professional pastry Chef has been interesting to say the least. We chatted with Stef about her experiences so far in the industry and life after Le Cordon Bleu Ottawa. When did you realize you wanted to study culinary arts and become a professional chef? I realized I wanted to study culinary arts and become a chef when I took time off of university in 2010 to figure out what I actually wanted to study. In that time, I started baking every day and eventually started a home cake and cupcake company called Sweet Desserts, and after a successful year decided it was my passion and it was time to make it a full time career. What made you decide to study at Le Cordon Bleu Ottawa? While I was still a student at The University of Ottawa, I would frequently walk past Le Cordon Bleu Ottawa with the hopes of one day going for the pastry program. When I realized how passionate I was about pastry, it seemed very logical to me to study at a school known worldwide with such great Chef instructors. What was one of the most important things you learnt while studying and how has this made a difference to you as a Chef? One of the most important things I learnt while studying was to put in the time and patience for the career. It takes a lot of time and effort to learn, and the Chefs teaching you both at the school and in the restaurant are putting in such a great amount of time for each student, so they absolutely deserve it back. Plus the more effort you put in, the more you will learn! What types of food are you most passionate about? I'm really passionate about foods that are in fresh and in season. Which is a broad spectrum of ingredients, but I'm a huge believer that the freshest ingredients make the most flavorful foods. Are there any Chefs or influencers that have inspired you along the way? I got a huge influence by Chef Yannick Anton, the executive Chef at Signature’s Restaurant, on the Le Cordon Bleu campus in Ottawa. I worked with him for three years and the amount of knowledge he has to share, and his way of working and handling ingredients has really influenced the way I work today. I owe the way I work, as well as how I view work, greatly to him. What's your all-time favourite dessert? My all-time favourite dessert has to be this tequila lime pie. It's served with crushed up pretzels and is the perfect combination of salty and sweet. Apart from pastry, what is your favorite style of cuisine? Apart from pastry I enjoy cooking anything that is focused on fresh produce, and letting the product speak for itself. I really enjoy the flavours of fresh, local, ingredients and you just focus on using them as best you can. Where has your career path taken you since you graduated? Since I've graduated I worked at Signatures for three years, and also have worked abroad staging at Michelin Star restaurants in England. I'm currently working at two sister restaurants in Ottawa, Fauna and Bar Laurel, with Jon Svazas, who has been a great chef to learn from as well. The plan is to move to England in April 2017 to work at one of the restaurants I staged at. Can you tell us about your time so far working as a professional pastry Chef? Working as a professional pastry Chef so far has confirmed to me that this is my passion. The days are very long, and you have to give up a lot of your free time, but if you love it then you don't ever question it. I've never looked back leaving University for this career and am very excited for what the future holds. This is a profession where you're constantly learning, and it's always exciting, which to me is the perfect career. Any pieces of advice that you would like to pass on to future or perspective students considering studying at Le Cordon Bleu? When you're studying at Le Cordon Bleu there are so many great opportunities available, whether it's putting in extra time to practice, help out the chefs teaching you, or help out the restaurant, and you should absolutely take full advantage of these learning opportunities. I spent all of my extra time helping out the chefs, and it pays out. You learn different aspects of the teaching environment and you get to practice your skills while still learning. It's a very short program, so spend all your time there while you can. Le Cordon Bleu Ottawa is pleased to announce the “New Year, New Skills Gift Giveaway” to those who wish to get a start on their culinary education in 2019!